Swing in the South Bay debuted in San Jose, California in 2010. Joanna Meinl, West Coast Swing instructor, performer, choreographer and All-Star/Champion level competitor, decided that she wanted to bring together Bay Area teachers, dancers and DJ's by offering an all day West Coast Swing Event that was easily accessible, with fun workshops from the top Bay Area Pros, Jack and Jill contests (including an Invitational Jack & Jill), and all night social dancing with the best DJ's in town! 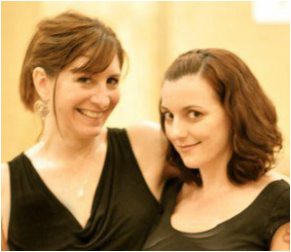 Joanna co-directs this event with champion dancer, instructor and close friend Yvonne Wayne and studio owner Hans Schmitt, purely to support her local dance community and hopes that it helps promote and grow West Coast Swing in the Bay Area! We look forward to seeing you at Swing in the South Bay! Happy dancing!